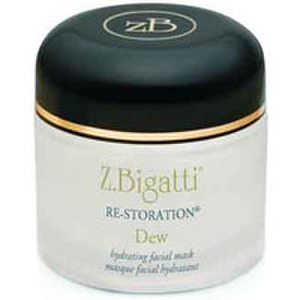 There are many choices when it comes to skin care but when it comes to luxury and results, Z. Bigatti takes the prize. The company was founded by Frenchman Zizo Attia after observing the frustration of women unable to find products that truly make a difference in their skin. Attia's goal was to develop a line of products that could tackle all of the skin's needs including repairing, protecting and nourishing. After years of work with an expert chemist, Z. Bigatti products were introduced to the market for everyone to enjoy. Z Bigatti skin care was born from Olignutrients/Nano technology. This allows for active ingredients to penetrate deep within the layers of the skin in order to produce real results. Many brands use inactive ingredients which simply sit on top of the skin and do little else. Z Bigatti is loaded with highly effective ingredients that maintain their potency throughout the manufacturing process. This ensures top quality formulations that will give you real results. Choose from a variety of products including cleansers, exfoliators, toners and a wide selection of treatment products for specialized usage. 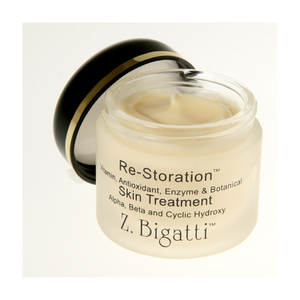 More than 15 years ago, Z. Bigatti emerged on the market, offering a new approach to skin care for those who truly wanted healthier complexions. To create the finest line of skin care products the world had ever seen, Attia brought together a team of scientists and skin care experts who understood the underlying causes of dermatological concerns. By formulating products specifically to halt or overcome these processes, the team created a skincare collection that offers truly unparalleled results for the health and appearance of the skin. All Z. Bigatti skin care products are formulated to work upon the middle and lower layers of skin, where the ingredients in topical products are most needed. The middle layer of skin is where damage caused by free radicals is most evident, as it is in this zone where weakness in the collagen network that supports the skin leaves the tissue more vulnerable to wrinkling. The lowest layer of skin is the newest and healthiest tissue and requires nutrition to remain as beautiful as possible as it moves toward the surface and becomes visible. To ensure that every formula can deliver results for the hidden layers of skin, Z. Bigatti products are made up of nanoparticles. These very tiny molecules retain all of the beneficial properties of large molecules but are especially easy for the skin to absorb. The result is skin nourishment at every layer of tissue and remarkable results. Discover the difference for yourself by shopping the Z. Bigatti collection. A young man in Paris grew up listening to his mother fret over the health of her skin and the ineffectiveness of the products available to help her care for it. As an adult, he became inspired to find solutions for her and for women like her all over the world. He scoured the globe looking for ingredients that were used in local communities as beauty secrets and then enlisted the help of a team of scientists to create new formulas based on the skin-healthy treasures that he sourced from around the world. Since its launch, his eponymous skin care line, the Z. Bigatti Products collection, has helped countless women meet their beauty goals. The Z. Bigatti Products range features blends of rare anti-aging ingredients that help restore youthfulness and vitality to the complexion. The collection includes both everyday products that can be used to form daily regimens and treatment products that target specific skin care concerns to make them things of the past. 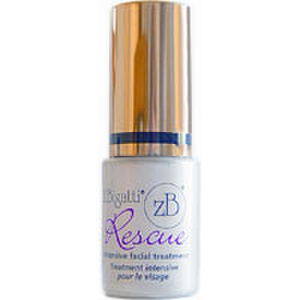 Shop the Z. Bigatti Products to find simple, effective solutions for lasting youth and daily beauty. Reduce signs of aging, maintain good skin health and protect your face from future damage all at once with the Z. Bigatti Products skin care collection. 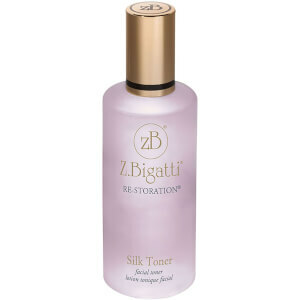 The Z. Bigatti Re-Storation Skin Treatment performs three vital anti-aging tasks with one unique formula. The product simultaneously repairs signs of damage, nourishes the skin to ensure health and protects the skin from the effects of the environment. To erase signs of damage, the treatment contains alpha hydroxy acids, which can lessen the depth of wrinkles and eliminate skin discoloration. Botanical extracts and antioxidants hydrate the skin and shield the tissue from oxidative damage. 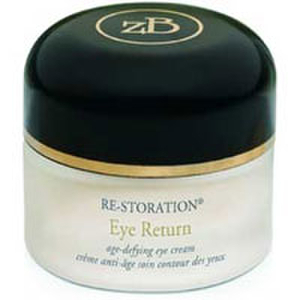 The Z. Bigatti Re-Storation Eye Return is the ultimate daily wrinkle cream for the eye area. Using natural acids from citrus fruit, the treatment gently exfoliates the skin to make crow's feet less prominent and brighten the under eye area. Extracts of lemongrass, ginseng and dandelion are used to increase skin's firmness, while kelp extract creates a smooth finish. Rosehips and watercress are added to keep the eye area looking refreshed. 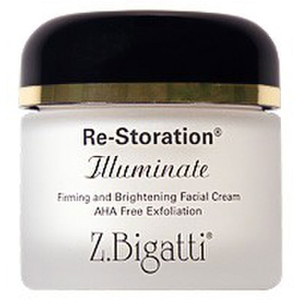 When you apply the Z. Bigatti Re-Storation Goodnight Facial Cream before you say, "Goodnight" you can begin to say, "Goodbye" to unwanted signs of aging. The formula contains ceramides and hyaluronic acid to provide moisture to the skin for up to 24 hours after application. An amino acid complex is added to the formula to hasten skin repair, and a blend of superoxide dismutase and plant extracts leaves behind an antioxidant barrier to harmful free radicals.